Gas prices are down. Why aren't other prices? 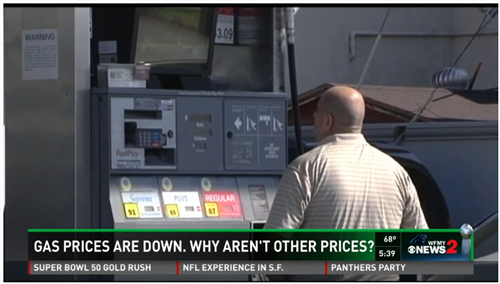 Click here for my latest WFMY News 2 interview on how gas prices are factoring into other areas of commerce.